AppLift is headquartered in Berlin, Germany, and has offices in Bangalore, San Francisco, Seoul, Tokyo, Sao Paulo, Shanghai, New York and Singapore. Since the time of its inception in 2012, AppLift has grown from a company of 5 employees to a strong global force of over 250 employees. 1) Quality of Candidates: The presence of high calibre, relevant candidates on Instahyre has helped reduce to a great extent the time spent in hiring candidates. 2) Cost of Hiring: Compared to other traditional sources, Instahyre resulted in a 20% reduction in cost for each candidate hired. 3) Candidate Engagement: The branding feature on AppLift’s profile page enables candidates to learn more about the company prior to the start of the interview process, which in turn makes the interaction with the candidate more fruitful. Additionally, the option to send personalized messages to candidates helps connect with them directly. For a rapidly growing startup like AppLift, hiring is a major segment of their expansion plans. In addition to strong tech skills, they focus on how passionate the candidate is to work with them towards building a great product. However, there are still some challenges they face to source top talent. 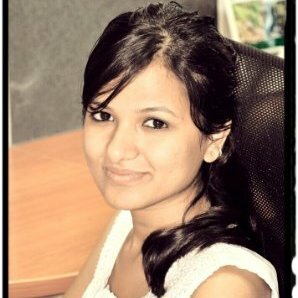 Nazia, Associate HR Manager at AppLift says, “When AppLift entered India in early 2015, we were competing with well established companies in the ‘War for Talent’". Collaboration between Instahyre and AppLift has been “interesting” at the least, says Nazia. For AppLift, Instahyre set itself apart from traditional platform by positively delivering on the company’s high recruitment standards, providing huge returns with minimal efforts, and reducing the amount of time and effort to go through profiles. To provide such quick and exceptional results, Instahyre’s platform leverages the power of machine-learning algorithms and produces the most suitable resumes for your job postings. With a set of targeted filters, the algorithm produces precise matches for a requirement. Keeping track of AppLift’s preferences, Instahyre’s matching algorithms computed dozens of metrics to provide the best results. This helped us get in touch with high quality, relevant candidates who were actively looking to work with the company. Furthermore, unlike other platforms, Instahyre automatically creates highly engaging, personalized messages for each candidate which can be sent with a click of a button. Therefore, providing an exceptional ease of use, such features assisted AppLift in expediting the hiring process. Thus, by providing dedicated support and a superior platform, Instahyre was able to help AppLift close positions faster and better.